Happy 7th Birthday to Victor! 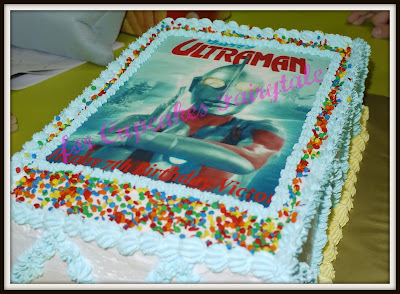 Monica ordered this 'Ultraman' birthday cake for her nephew who loves Ultraman very much. By the way, this is the first time Cupcakes Fairytale made such a big cake that weighs slightly over 2kg. 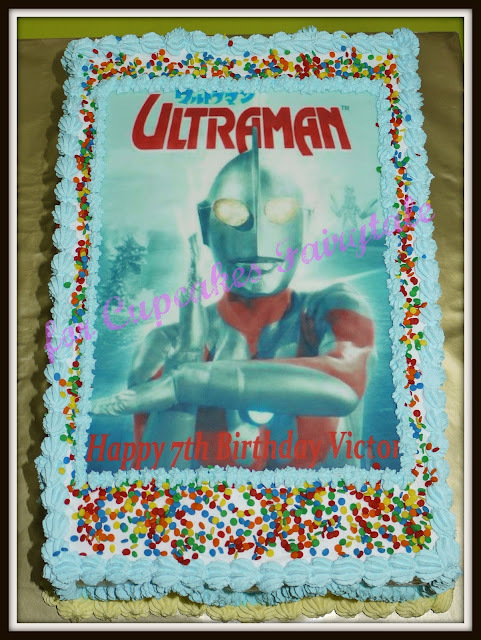 It's a Fresh Cream Fruit Cocktail cake .....hope this cake makes Victor's day! !